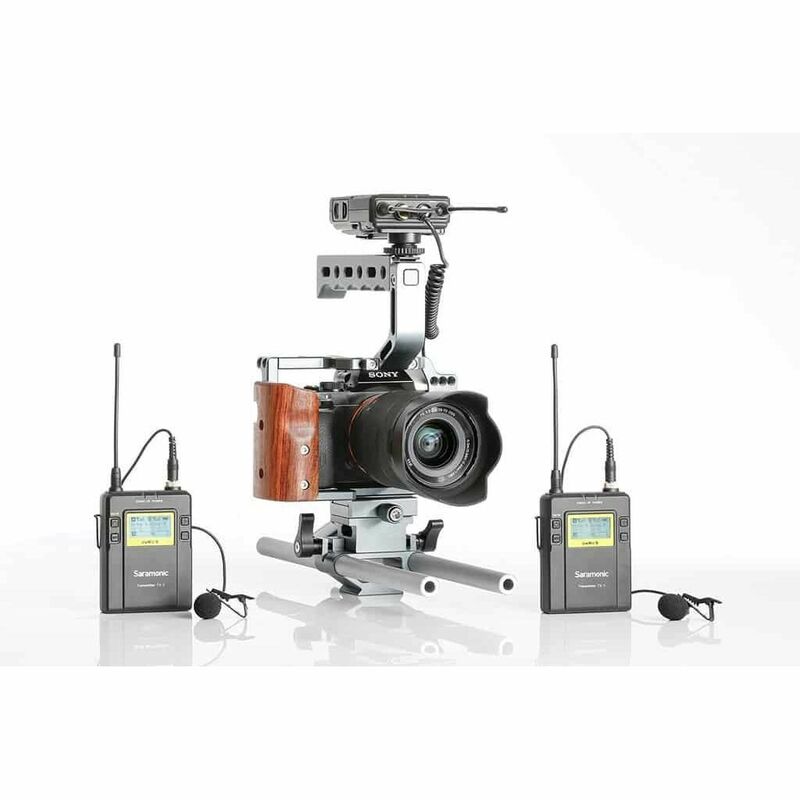 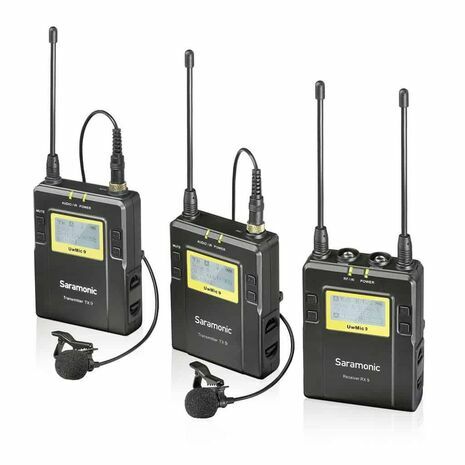 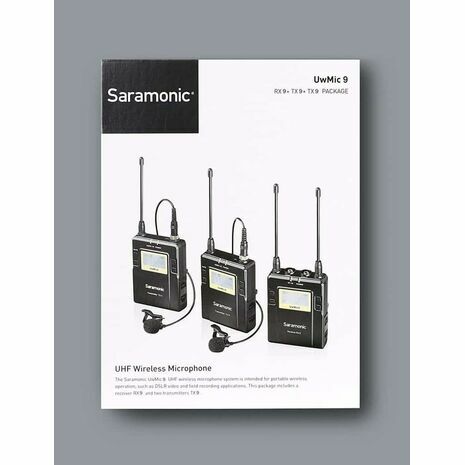 The Saramonic UwMic9 2 Person Camera-Mount Wireless Omni Lavalier Microphone System. It is a portable wireless system for capturing audio with dual subjects. 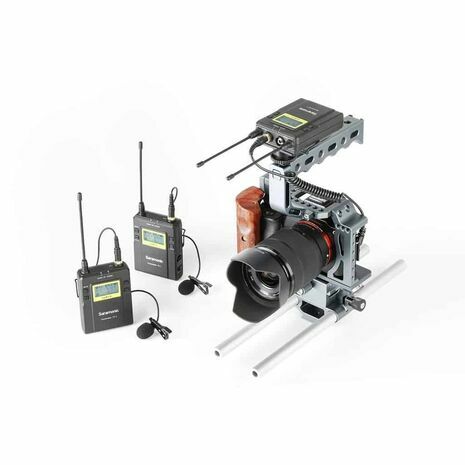 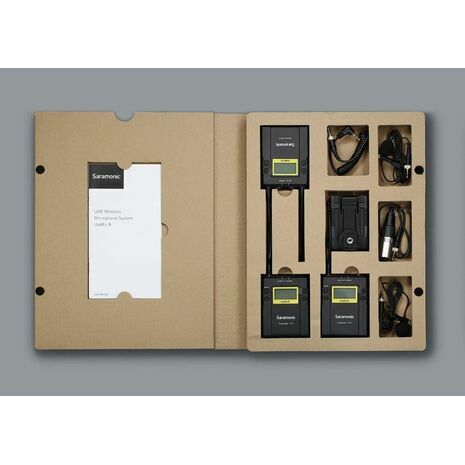 It can be used in several environments for video, field recording, interview, broadcast TV, and ENG applications.